With an investor, the founders of HOFFMANN Fördertechnik found a new good home for the company and have set the course for a sustained development. AFINUM Siebte Beteiligungsgesellschaft mbH & Co. KG, advised by Munich-based AFINUM Management GmbH invests in Wurzen/Germany-based HOFFMANN Fördertechnik GmbH in the course of a succession planning. HOFFMANN Fördertechnik is a leading manufacturer of electric chain hoists, marketed worldwide under the brand name “LIFTKET”. The transaction is a typical AFINUM situation – succession planning of a successful mid-sized company in the DACH region. For more than 60 years, HOFFMANN Fördertechnik (www.liftket.de) has developed and manufactured high quality, customised hoists “Made in Germany” and has more than 230 employees. LIFTKET electric chain hoists are distributed to Industry, Entertainment and Wind Power customers over a worldwide retail and Service network. Together with a highly experienced MBI-Manager, AFINUM will support HOFFMANN Fördertechnik in the continuation of its successful international growth strategy and accelerate the expansion of production capacity in Wurzen. “We are pleased to continue the successful growth path of HOFFMANN Fördertechnik. 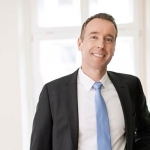 In addition, we are happy to be the selected partner providing a succession solution to the founding Family…” outlines Dr. Jochen Klemmer, AFINUM.